Looking for the classic wood shingle or shake roofing look with the durability of more advanced materials? We now offer durable and attractive CeDUR shake roofing materials. These advanced material, wood-replica shakes have the iconic look of classic cedar roofing without the extra upkeep and wear and tear that happens with natural wood. Tough CeDUR shakes retain their appearance despite constant exposure to the elements. And, it’s almost impossible to tell CeDUR shakes apart from wood roofing. 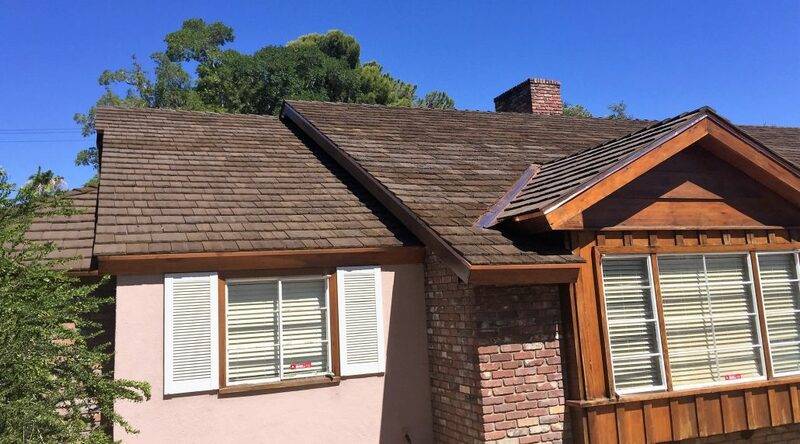 CeDUR is a quality, affordable alternative to traditional wood shingles or asphalt roofing. CeDUR shakes are designed specifically to withstand the unique weather conditions in the Western US and are a great choice for the strong sun and winds in Southern Nevada. The color and finish remain in excellent condition in the face of exposure to ultraviolet (UV) solar rays, hail, snow or ice. CeDUR shakes are resistant to high winds, including gusts up to 115 miles per hour. This durable material resists splits, cracks and other forms of damage often caused by abrupt impacts during stormy weather. Fire retardant materials incorporated into the CeDUR shakes design make them fire resistant without requiring the installation of a protective underlayment. 50 year Limited Material Warranty. Some homeowner insurance policies may list CeDUR shakes for premium credits as a highly safe and reliable roofing solution. CeDUR shake roofing materials perfectly replicate the classic charm of natural cedar. With its authentic size, shape and grain pattern, this simulated wood product is virtually indistinguishable from the wooden shingles of yesteryear. Once properly installed, the CeDUR materials retain their rustic appearance through the years without splitting, rotting or breaking loose. 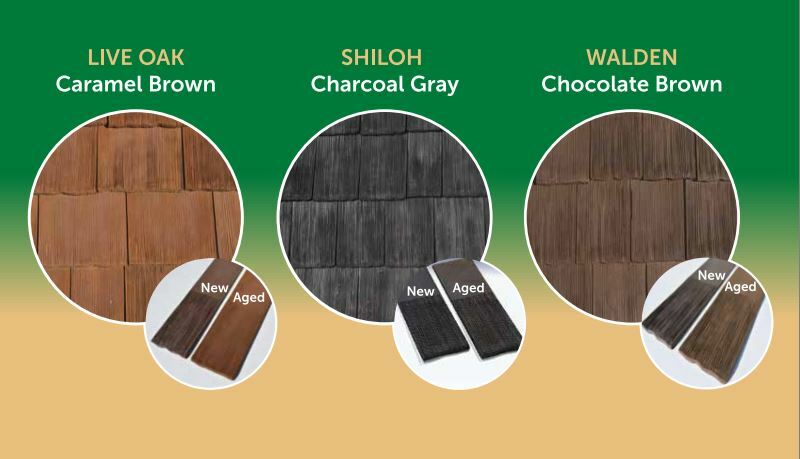 To accurately replicate the varied appearance of natural cedar shingles, CeDUR materials use a proprietary color system that enables the creation of authentic hues. The wood tones of the shingles continue to develop for up to four months after the initial installation date. At the end of this period, the achieved tone permanently sets and retains its luster throughout the expected product lifespan. Since the color runs through the entire shake structure, the tones never shift or fade away after the initial hue formation. Select the color scheme and grain pattern that will complement your existing structure or support your future renovation plans. The shakes come in 5”, 7” and 12” sizes to replicate the natural cedar appearance you desire for your home. Make your investment in CeDUR shakes today to greatly improve your home’s style and durability characteristics. For more information CeDUR shakes for your roofing project, give us a call or contact us today.